Amazing CUE Lake, One of Florida's most pristine clear water lakes. 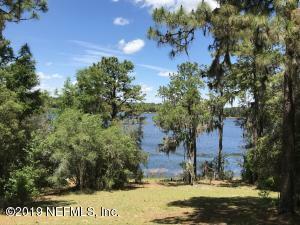 Beautiful 2.42 acres overlooking the lake. Perfect for a lake home or forever home. 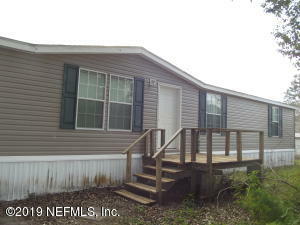 Double wide mobile home in excellent condition move in ready. It doesn't have the look or feel of a mobile home it has sheet rock walls, a real wood burning fireplace 3 bedrooms and 2 baths. Properties on Cue Lake do not last long! Come and take a look and start enjoying ''the lake'' this Summer. 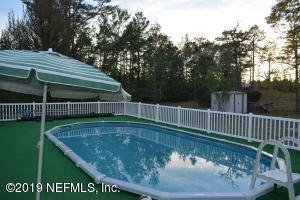 BEAUTIFUL 4BR 3BA nice home on 8.40 acres on riley lake. home has nice screen room on front & back. 27ft above ground pool with new liner. CH&A is one year old. wood burning fireplace, RV carport, two car carport ENJOY COUNTRY LIVING AT ITS BEST!! Location, Location, Location! 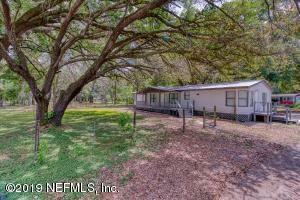 This is a beautiful Mobile Home sitting on 3.25 acres. Just off pavement, very private and country . 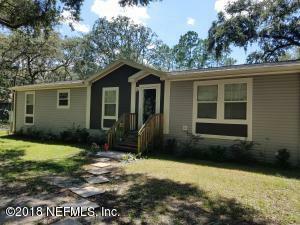 Not far from Gainesville ,Hawthorne, Interlachen. 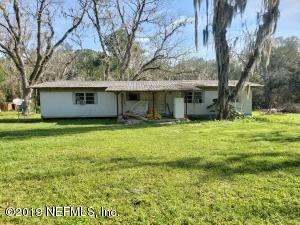 NICE 3BR 2BA HOME ON 1.21 ACRES ZONED AG. 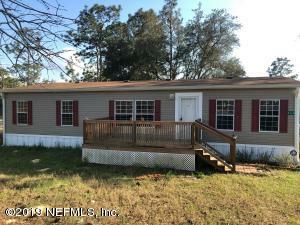 Nice deck on the front, enter into a spacious living room, very large kitchen, large master bedroom and bath with an amazing walk in closet, down the hall to the other bedrooms and bathroom and into a very spacious family room. Nice large laundry room off the kitchen and out onto a nice screen porch. 14 X 16 carport, 16 X 24 workshop, small shed and pump house with storage for more tools or toys. Two Pecan trees and a Pear that produce each year. ** DRASTICALLY REDUCED** VERY MOTIVATED SELLER. The property is being sold ''AS IS. This is a great value and this will not last. Bring your horses! This is a Double Wide Mobile / Manufactured Home with 1719 sq. ft of heated living area. 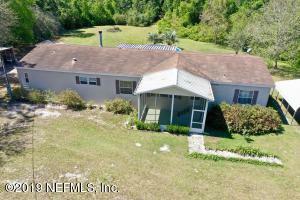 The property sits on a well manicured three acres which is completely fenced and gated. there is a screen porch on the front of the home for sipping your morning coffee. As you enter the home there is a large great room which is a living room dining room combination. The MBR has a Jacuzzi tub, separate shower and double vanity sinks. the home is a 3 /2 with a split bedroom floor plan. 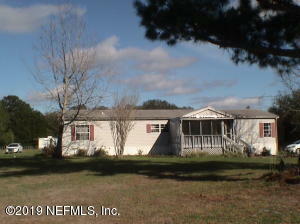 This is a great place for the first time home buyer or the retiree anyone who wants to enjoy peaceful country living. All appliances stay except microwave. MH-216C. Nestled among the grandfather oaks and close to Star Lake, this large home is an outstanding value. 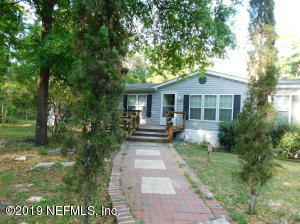 Fully remodeled three bedroom, two bath home features a large family room with fireplace and an open concept kitchen with breakfast bar, large fenced yard and open front porch as well as a sizeable concrete pad for a future garage or parking additional lot which has an RV pad and hook up to make it almost a full acre.